In days previous, God’s people could only come to the porch, so to speak. Now, through Jesus, we are invited to walk right in the front door! So pray. It doesn’t have to be perfect or polished. 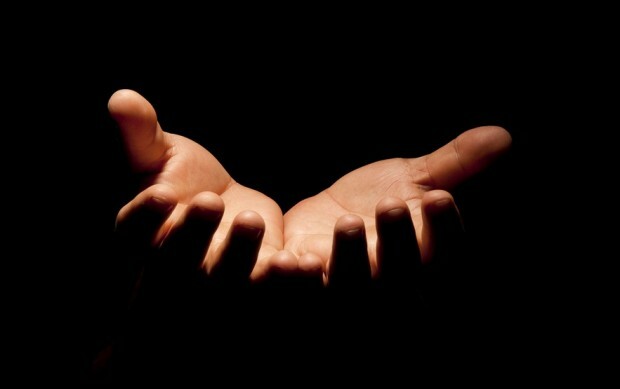 Just pray. Your Father who loves you promises to hear. Listen to the sermon: I Will Hear Your Prayers, from the “I Promise…Trusting in the Faithfulness of God” series. Posted in Uncategorized on July 29, 2015 by Craig Sturm. Listen to the sermon: I Will Hear Your Prayers. Posted in Uncategorized on July 27, 2015 by Craig Sturm. God makes this astounding promise to his children…Isaiah 65:24…Before they call I will answer; while they are yet speaking I will hear. Join us this Sunday as we let this amazing promise encourage our faith and strengthen our prayers! Posted in Uncategorized on July 23, 2015 by Craig Sturm. Mercy Hill’s new elder team* met for the first time recently. We began our time reflecting on Paul’s statement in 2 Corinthians 1:24…“Not that we lord it over your faith, but we work with you for your joy, for you stand firm in your faith.” It is a statement of the role of elders and their servant-leadership in the church. So we asked the obvious question: “How do we, as elders, work with our people for their joy?” It was a robust conversation. So much came back to helping people find their joy in Jesus Christ alone, evidenced by a steadfastness of their faith in him. How do we lead and structure the church to help in that goal? Please pray for the elders as they meet again soon. This is an important time in the life of Mercy Hill Church. Pray that they will be men led by the Spirit; full of love and grace; wise, thoughtful and strategic. 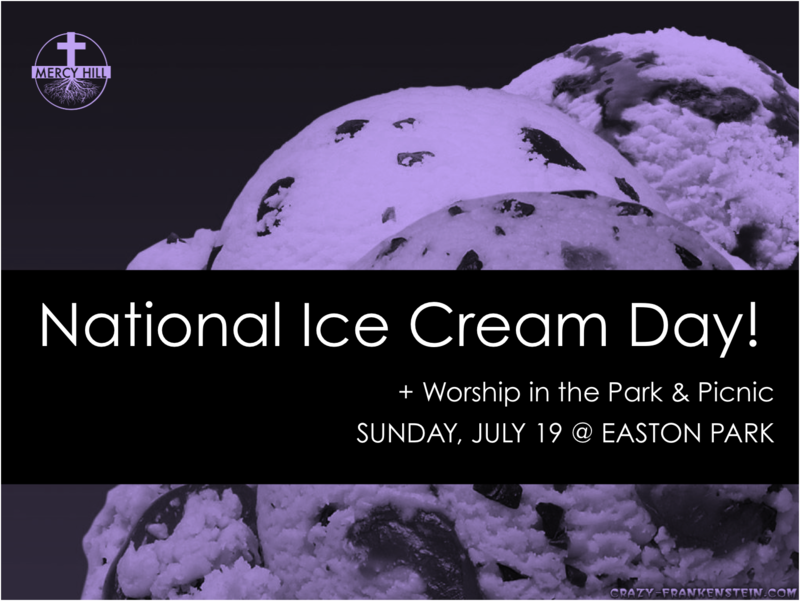 We will meet tomorrow (July 19) for a special outdoor time of simple worship, eating and playing together, and of course…ice cream – in celebration of National Ice Cream Day! Bring your own lunch. We’ll provide lemonade, water, and ice cream (with toppings). Posted in Uncategorized on July 18, 2015 by Craig Sturm. Posted in Uncategorized on July 9, 2015 by Craig Sturm. 25 men and women agreed together to become the inaugural members of Mercy Hill Church! Those members then agreed together to function under the proposed Mercy Hill Church Constitution and By-Laws. The members next, joyfully affirmed five men as the first elder/pastor team of Mercy Hill: Terry Berthel; Jack Dean; Ryan Guerra; Craig Sturm; and Bob Vishanoff. Finally, the members approved the proposed FY2015-16 Budget that began on July 1, 2015. Thanks for all those who were able to attend. May God be glorified in his church as we faithfully pursue his call to make disciples!